and knowledge required to go further in their field. Certification Programs are designed to meet the needs of coaches, fitness leaders, administrators and managers in achieving their desired career goals. The Academy’s Certification programs provide students with a strong foundation of skills and knowledge required for succeeding in the respective disciplines. The Academy has developed sport-specific certification programs for online and onsite delivery. Each certification program consists of six courses worth 4 CEUs per course. All courses are online. Cost of each course is $150. Congratulations! You are an Education Recognition Program (ERP) student in one of the top programs in the world that aligns with the National Strength and Conditioning Association’s (NSCA) educational guidelines. In recognition of this honor, the NSCA would like to offer you $25 off the cost of an NSCA Certification Exam. Contact continuinged@ussa.edu for your exclusive discount code. Log in to nsca.com using your NSCA Username and Password, or create a new account if you have never logged in before. Select “Certification” from the top navigation bar. Select either “Register for a CSCS Exam” or “Register for an NSCA-CPT Exam” for the desired certification. Continue to navigate through the registration form with pertinent information. Enter the ERP discount code in the box labeled “Enter Coupons” and click the “Apply Coupon” link. This will deduct the coupon amount from the total due. Proceed with the checkout process by completing the payment information and processing your order. Once you have completed the registration process, you will receive a confirmation email of your purchase from the NSCA. You will also receive an email from the exam vendor within 3-5 business days with instructions on how to schedule your exam. Certification in Sports Management provides students opportunities to further their knowledge base in the sport-related areas of business, administration, personnel management, marketing, public relations and facility management/program development. Courses focus on the development of professional sports management skills that are essential to designing and implementing sport-related programs. Completion of the Certification in Sports Management program will give students an internationally recognized certification in sports management. Students must be 18 years of age to register. Certification in Sports Coaching provides students with the knowledge and skills to help them succeed in coaching at all levels of sport. Courses focus on coaching methodology, sports psychology, conditioning and nutrition, sports medicine, facility administration and program facilitation. Students must be 18 years of age to register in this program. Completion of the Certification in Sports Coaching will give students an internationally recognized certification in sports coaching. An approach to assessing and enhancing sport performance through improving strength and cardiovascular endurance. Included is a focus on injury prevention. An overview of sport-related injuries and the application of emergency treatment. A focus on the study of motivational phenomena that affect individual athlete and team performances. Designed to provide students with a conceptual blueprint for teaching sport and the fundamentals associated with sports coaching. Every coach must understand the fundamental principles of administration. All administration begins with the coach. The course introduces coaches to basic approaches for organizing and maintaining consistent programs through effective administration. Understanding the necessity of insurance, first aid, emergency contacts, travel arrangements and the rudimentary approaches to personnel management are some of the main topics of this course. Certification in Sport Fitness provides students opportunities to further their studies in the sport-related areas of administration, coaching principles, personal training, nutrition, conditioning and psychology. Courses focus on the development of professional management and training skills that are essential in the design and implementation of sports fitness programs. Designed to teach coaches how to apply scientific principles to sports coaching. A study of the fundamental principles of training and nutrition in sport and exercise. An overview of the anatomical and physiological systems that are affected by conditioning, training, and fitness programs is presented. Combines sport science and entrepreneurial principles in the design and implementation of a personal training regimen. This course covers the principles of sound nutrition as they relate to the athlete as well as to the average individual in our society. In addition, the course covers the physiological aspects of how nutrition affects the body in terms of overall optimal health. The study of human behavior in sport and exercise settings. Designed to provide students with the latest research on the theories of individual personality and motivational behaviors in sports participation. Certification in Personal Training provides students a solid background in the area of personal training. Courses focus on training principles, nutrition, conditioning and the various aspects of programming. A study of the structure and function of the various systems of the human body. Designed for sport coaches in studying human movement as related to sport activities. Coaching techniques and methodologies that are used to enhance sport performance are also discussed. A study of the psychological and sociological aspects of health and fitness programming and the application of such in the development of effective motivational and behavioral modification strategies. Sports Strength and Conditioning Certification provides students an overview of the skills, development and training principles of a strength and conditioning regimen. Courses focus on training intensity, injury prevention, nutrition, conditioning and fitness programming. Designed to cover the complete spectrum of training intensity. An overview of the sports medicine profession. Designed to educate athletic trainers, fitness professionals, and sport coaches on how to assess and manage sports injuries. Students must complete the following course in order to receive Level I Certification: CEB 572 Introduction to Coaching. This course provides an overview of important aspects universal to coaching all sports. Topics to be explored include ethics, sports administration, coaching methodology, conditioning and nutrition, injury prevention, immediate care and rehabilitation and sports psychology. The text is embedded in the course and is based upon the United States Sports Academy Coaches Handbook. To obtain Level II Certification, students must take two sport activity courses. Courses focus on the specific fundamentals necessary for coaching a specific sport. Each course covers skill development, techniques, drills and playing strategies. 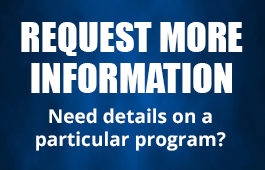 Program planning, off-season and seasonal play, and program evaluation are also introduced. Each course is worth 4 CEUs. (Students must complete Level I Certification before registering for Level II). Designed to provide entry-level information, fundamentals, principles, and management enablers for those interested in coaching basic track and field skills. This course is designed to provide entry-level information, fundamentals, principles and management enablers for anyone who would coach and/or instruct basic cross-country running skills. A focus on the specific fundamentals necessary for coaching golf. Emphasis is placed on teching skills, techniques and drills. Planning, preparation and administration for the various phases of the season are covered, along with a program evaluation for continued improvement. Focuses on the specific fundamentals necessary for coaching volleyball. Emphasis is placed on teaching skills, techniques and drills. Planning, preparation and administration of practices and competitions are covered, along with a program evaluation for continued improvement. A focus on the specific fundamentals necessary for coaching baseball. Emphasis is placed on teaching skills, techniques and drills. Planning, preparation and administration for the various phases of the season are covered, along with a program evaluation for continued improvement. A focus on the specific fundamentals necessary for coaching basketball. Emphasis is placed on teaching skills, techniques and drills. Planning, preparation and administration for the various phases of the season are covered, along with a program evaluation for continued improvement. This course is a study of the science and art of coaching football. All phases of coaching are addressed, from the Xs and Os to the philosophy of leadership, responsibility, and teaching. A focus on the specific fundamentals necessary for coaching softball. Emphasis is placed on teaching skills, techniques and drills. Planning, preparation and administration for the various phases of the season are also covered along with program evaluation for continued improvement. A focus on the specific fundamentals necessary for coaching tennis. Emphasis is placed on teaching skills, techniques and drills. Planning and preparation for practices and competition is also covered along with program evaluation for continued improvement.  Students must complete the following course in order to receive Level III Certification: CER 511 Sports Performance Enhancement. This course examines the study of human movement and its relationship to sports activities. Methods for analyzing and improving performance are presented. (Students must complete both courses in Level II Certification prior to registering for Level III).